Just when you think that electronic cigarettes have reached their full potential and that truly revolutionary products are gone, something unexpected happens and forces us to admit that we have no idea what the future holds for vaping. The emerging nicotine salt trend is a perfect example. Just a few years ago, pod-based e-cigarettes like the Juul didn’t exist and all e-juice used the same type of nicotine. Today, you can choose between two different types of nicotine – and Juul has catapulted ahead of other brands to become the most popular mainstream e-cigarette in the United States; thanks in large part to the benefits of nicotine salt e-liquid. Although the Juul is a neat little device with a massive following, it isn’t necessarily the right choice for everyone. Luckily, bottled e-liquids containing nicotine salts are rapidly making their way into the marketplace, so there’s no need to buy a pod system to experience them for yourself. Nicotine salt e-juice can be used in any low-powered device – once you determine the appropriate nicotine level. Nicotine salt e-liquid is unlikely to be a passing fad, so are nicotine salts the right choice for you? There’s certainly no harm in giving them a try, but understanding what nicotine salts are (and knowing the pros and cons) can help you make a more informed decision before you jump in to make a purchase. The standard liquid that most vapers use contains a form of nicotine called free base nicotine. As it exists in tobacco leaves, though, nicotine is a salt. 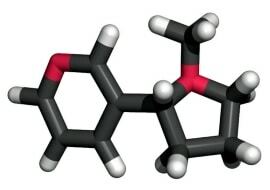 When companies extract nicotine from tobacco leaves, they use ammonia to increase yield by freeing up excess nicotine from within the tobacco’s cell walls. It also raises the pH of the nicotine and converts it from a salt to “free base.” Free base nicotine isn’t just used in e-liquid, though, it’s also a component of nicotine replacement products such as gums and lozenges. Tobacco company research conducted during the 1960s discovered that converting nicotine salt to free base nicotine has a benefit; it makes the nicotine more bioavailable. The Marlboro brand became wildly popular in part because ammonia was added to the cigarettes to create free base nicotine. With the addition of ammonia, Philip Morris created a cigarette that felt more satisfying to use than competing brands, even though it contained the same amount of nicotine. Every standard e-liquid contains free base nicotine because that’s what is available from bulk liquid nicotine suppliers. To create a nicotine salt e-liquid, the maker of the e-liquid adds an acid (such as benzoic acid) to the mixture. The acid lowers the pH of the nicotine and changes it back to its original salt form. Isn’t Free Base Nicotine Better Than Salt? If the tobacco companies’ research suggests that free base nicotine is more bioavailable than nicotine salts, one might wonder why nicotine salts have become so popular in the vaping community. Nicotine salts have become popular because Pax Labs – the maker of the Juul – conducted research while developing its e-liquid for the Juul e-cigarette. 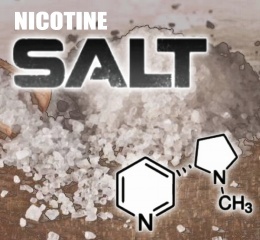 The research concluded that with low-temperature vaping, nicotine salts may increase the peak concentration of nicotine within the blood and enable users to achieve more satisfaction – similar to smoking. 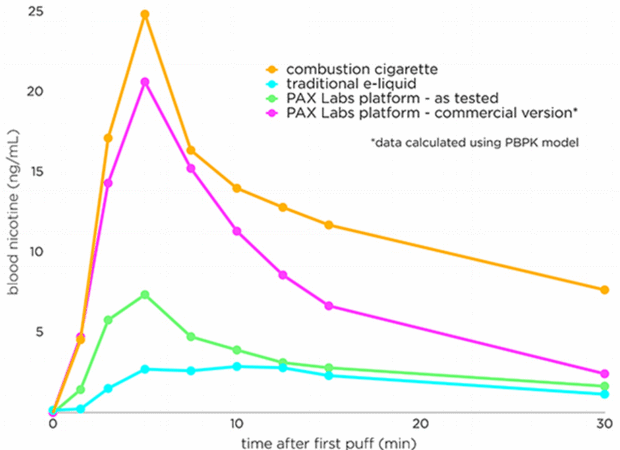 The Pax Labs research compared the Juul e-cigarette and its nicotine salt e-juice to a traditional e-cigarette with free base nicotine e-liquid. The findings released by Pax Labs, though, do not specify the nicotine strength of the traditional e-juice used in their research. It is therefore possible that the high nicotine strength of the Juul’s e-liquid – 59 mg – contributed to the increased blood-nicotine levels compared to those achieved with a traditional e-liquid. Nevertheless, the graph above – widely shared around the Internet – helped the Juul to catch on quickly. Whether it’s because of the nicotine salts or the higher-than-normal nicotine strength, the Juul has proven successful in helping first-time e-cigarette users switch from smoking to vaping. The Juul has sold more than 1 million units. It’s such a popular product that some people have found it difficult to locate refill pods in local stores – retailers can’t keep the pods in stock. When demand exceeds supply, an opportunity exists for competition to take hold. Today, many pod-based e-cigarettes are competing with the Juul. You can also find bottled nicotine salt e-juice that will work with any device. The greatest potential benefit of nicotine salt is that many people find it more satisfying than traditional, free base nicotine. If you only vape some of the time – and haven’t quit smoking entirely because vaping doesn’t quite satisfy you – an e-liquid with nicotine salts may help you to switch completely. Could you get the same benefit by simply increasing the nicotine strength of the e-juice you’re currently using? Possibly, but there are some other factors at play as well. In addition, people who have tried both nicotine salts and traditional e-juice have reported that nicotine salts are smoother and less irritating to the throat because of the lower pH. If throat irritation prevents you from using the nicotine strength that you need, you’ll probably benefit from the switch to nicotine salts. Another benefit of nicotine salts is that if your e-cigarette delivers nicotine more efficiently, you’ll vape less often and consume less e-liquid. Using less e-liquid reduces the cost of vaping. Nicotine salt e-liquid currently tends to cost more per ml than free base nicotine e-liquid, but eventually competition will create downward price pressure. Even at today’s higher prices, though, switching to nicotine salts is likely to lower your vaping costs. The primary drawback of nicotine salts is that some people may not find them as satisfying as the Pax Labs study suggests. People do not respond to nicotine in the same way. It also isn’t clear whether it is the nicotine salts themselves – or simply the higher nicotine strength – that causes some people to find nicotine salt e-liquid more satisfying. If you switch from a traditional e-liquid to a nicotine salt e-juice without also increasing the nicotine strength, there’s a chance that you may find the experience about the same. The second potential drawback of nicotine salts is that, although they do work in any e-cig, you wouldn’t want to use them in a sub-ohm device designed for maximum vapor production. Most nicotine salt e-juice comes in nicotine strengths of 20 mg or higher. If you want to have the best possible experience with a nicotine salt e-liquid, you’ll need to use a e-cig designed for low-wattage and high-resistance vaping. Otherwise, you could find the nicotine too overwhelming. Is Nicotine Salt E-Juice Right for You? Ultimately, you have nothing to lose by giving nicotine salt e-juice a try – especially if vaping isn’t providing you the level of satisfaction that you need. 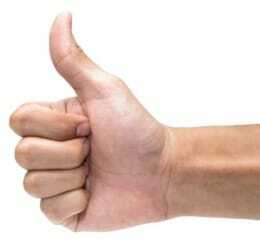 If you switch to nicotine salts and increase your nicotine strength, it’s likely that you’ll be happy with the change. You’ll also save money because you’ll use less e-juice. 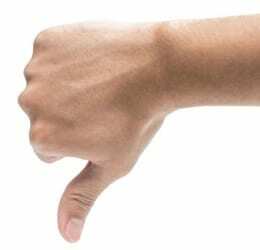 The people least likely to enjoy the switch to nicotine salts are those who use sub-ohm devices optimized for the highest possible vapor output. If you’re already happy with your current setup and 3mg e-liquid, why mess around?